South Side Projections and Roxaboxen Exhibitions are pleased to present a Jack Smith themed night of titillation and entertainment. 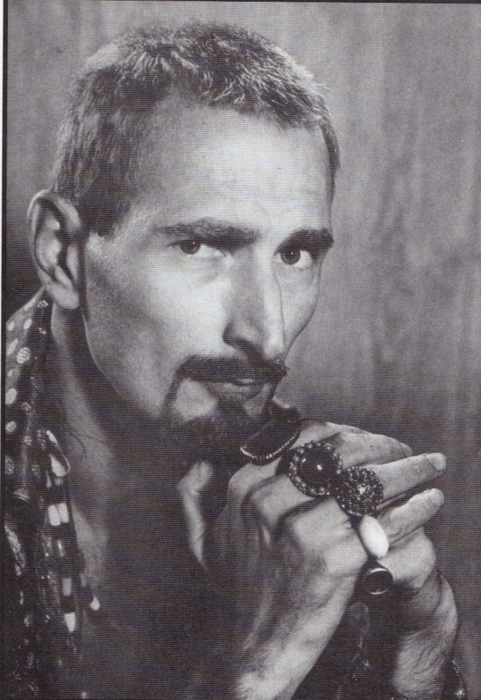 We will be screening Smith's legendary and notorious film FLAMING CREATURES (1962, 43 min., 16mm) and Jill Godmilow's film of Ron Vawter's performance of Jack Smith's play WHAT'S UNDERGROUND ABOUT MARSHMALLOWS (1996, 60 min., DVD). Godmilow will be on hand to discuss Smith's influence on Vawter and the world at large. Then a performance by Chicago's unclassifiable punk-performance art-rock band ONO will conclude the evening's events. 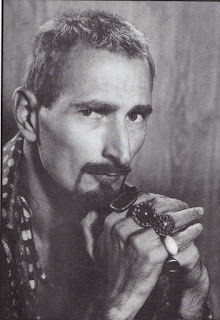 Jack Smith was one of the most important figures in American art of the 20th century. The godfather of performance art, a queer icon, and the originator of the camp aesthetic, he influenced generations of artists including Laurie Anderson, Lou Reed, John Waters, Cindy Sherman, and Guy Maddin. FLAMING CREATURES one of Smith's most famous films is a nonnarrative satire of Hollywood B movies and a eulogy to B-movie bombshell Maria Montez. Jonas Mekas, who went to jail for showing it, praised it as "a high level of art which is absolutely lacking in decorum." Onion City Experimental Film Festival programmer Patrick Friel gushes "FLAMING CREATURES is a wonderfully vibrant, messy, and lighthearted film that traffics in titillation and tease, irreverence and playfulness, and a disarmingly free-spirited and freewheeling sense of energy." For Jill Godmilow's WHAT'S UNDERGROUND ABOUT MARSHMALLOWS, the artist filmed Ron Vawter's uninterrupted performance of Smith's one-person play of the same name, which Vawter combined onstage with a Gary Indiana play about Roy Cohn for the long-running performance ROY COHN/JACK SMITH. The performance details Smith's feud with Mekas over intellectual property: specifically, Smith feared that his most ardent champion was making illegal copies of his films. Filmmaker and educator Jill Godmilow will discuss Smith's influence and her work with Ron Vawter, using clips from her other collaboration with Vawter (ROY COHN/JACK SMITH) to distinguish the politics of Vawter's performance. The Chicago Punk Database describes ONO as an "Industrial/Avant/Gospel/Noise Band." Since the early 1980s, founders P.Michael and Travis, with a revolving cast of musicians whose contributions kept ONO's sound constantly in flux, have outraged and entranced audiences large and small with their unclassifiable performance art rock.